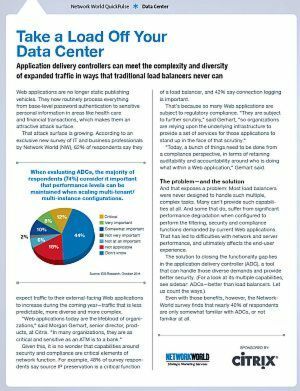 Application delivery controllers can meet the complexity and diversity of expanded traffic in ways that traditional load balancers never can. ■ Maintain performance of Web-based applications that deliver mission-critical functionality, even when scaling multitenant/multi-instance configurations. ■ Provide security threat protection. The ADC functions considered most important for meeting security, performance and compliance requirements are SSL offload and source IP preservation.